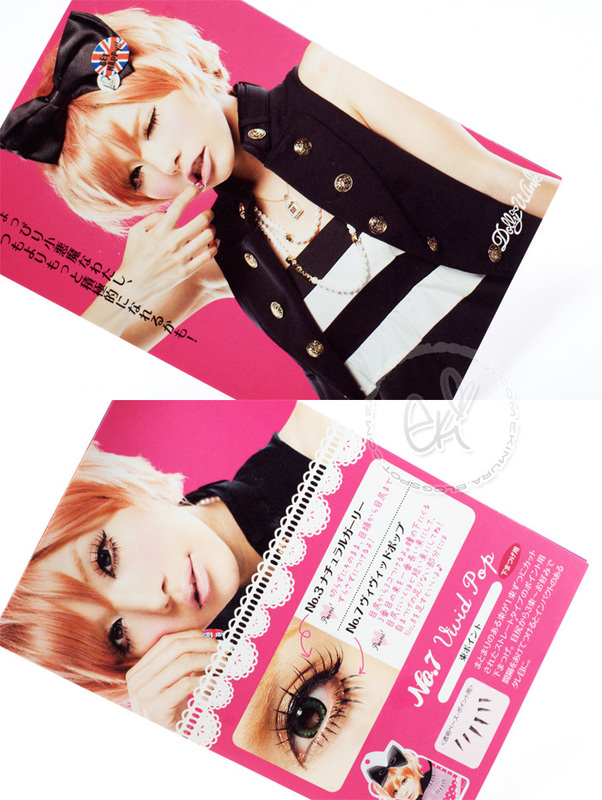 Julie included Dolly Wink pamphlet with Tsubasa's look cards they are so pretty and colorful I love it! :D thank you Julie!! 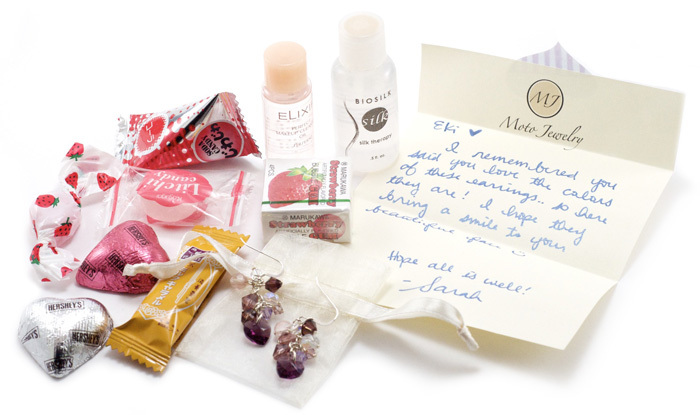 I also got a love package from Sarah of Moto Jewelry :) She always sends me a gift to put a smile on my face with her beautiful handmade jewels and yummy sweets! Itsumo hontouni arigatou ne Izu-chan! Those are the cutest lashes!!! I wish I could change my hairstyles everyday. I get bored of my hair fast too. Hehe. That big bunny does look like mine. It's so huge though!! Very much enjoyed the kawaii Tsubasa's photos. Thank you Eki! I noticed in your more recent posts you have been using Dolly wink liquid eyeliner instead of the Loreal Lineur liner [the one from your YT tutorials]. Is the Dolly wink better? 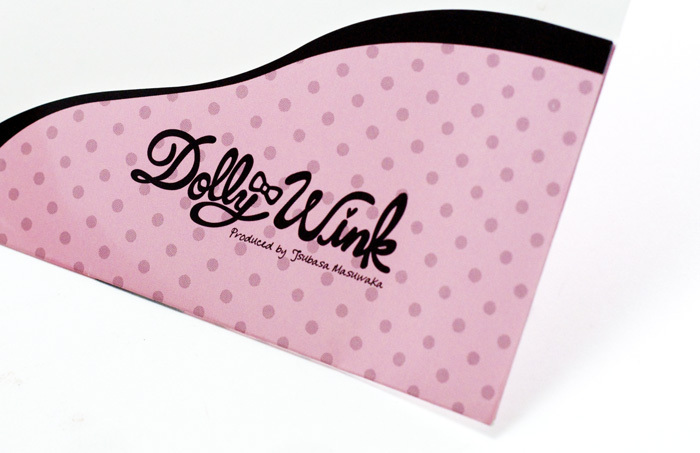 you're so lucky for owning a pair of the Dolly Wink eyelashes! 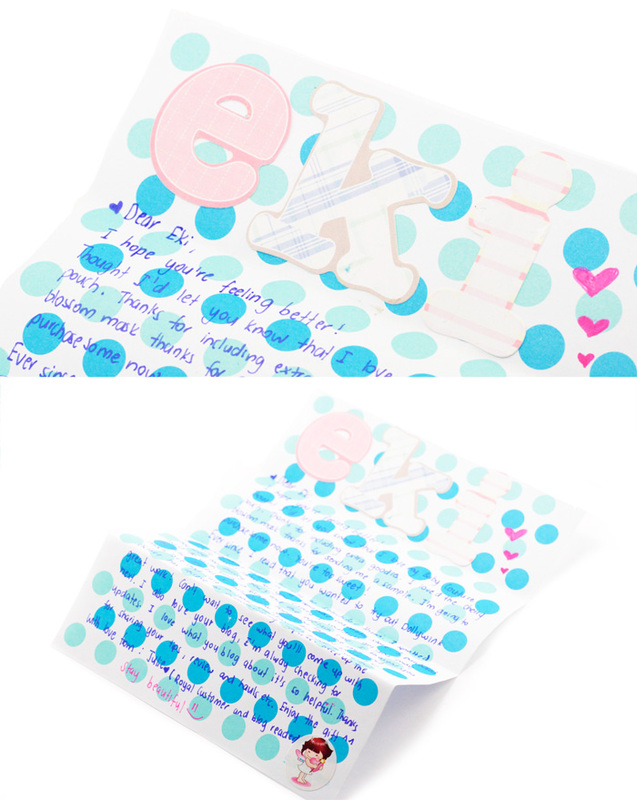 How lovely from your friends, it'S so cute when people still write handmade letters! 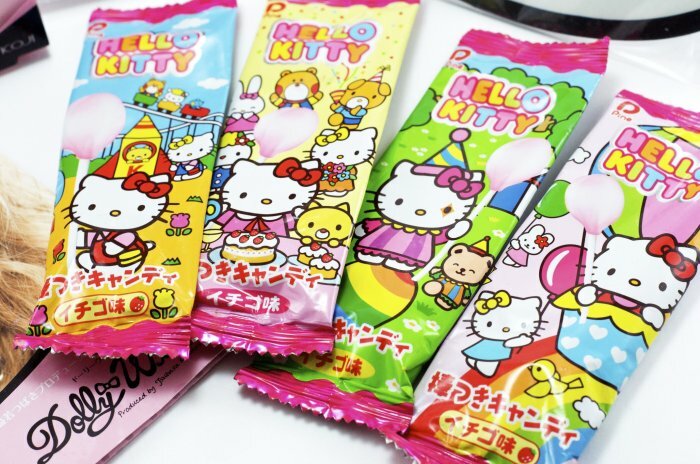 <3<3<3 I love this too. These false eyelashes are very pretty! I always had doubts about false eyelashes put at the bottom, but I really liked the results in the pictures. Lucky you! 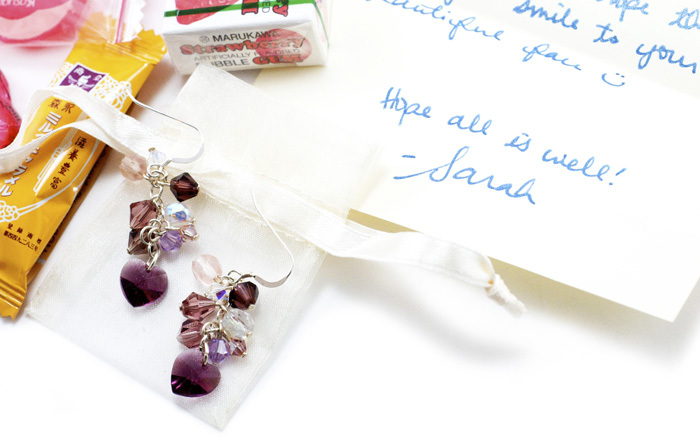 Love the look on all the dolly wink models, and those handmade purple earrings. I just ordered fiberwig after seeing it on you in post after post ... can't wait for it to arrive! 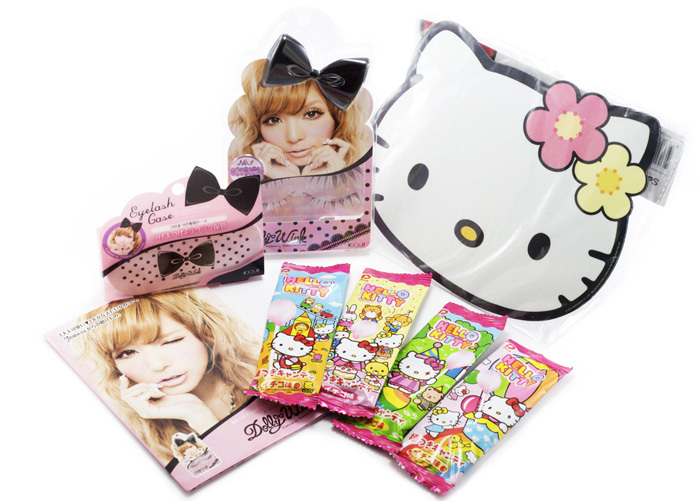 such cute gyaru styles :3 ! Those lashes are soo pretty and damn girl, I never get sick of your purple contacts. So pretty! You look gorgeous, as always. =) I really like these contacts on you! aww that's so sweet of them to get you dolly wink! Aw that was a lovely gift!